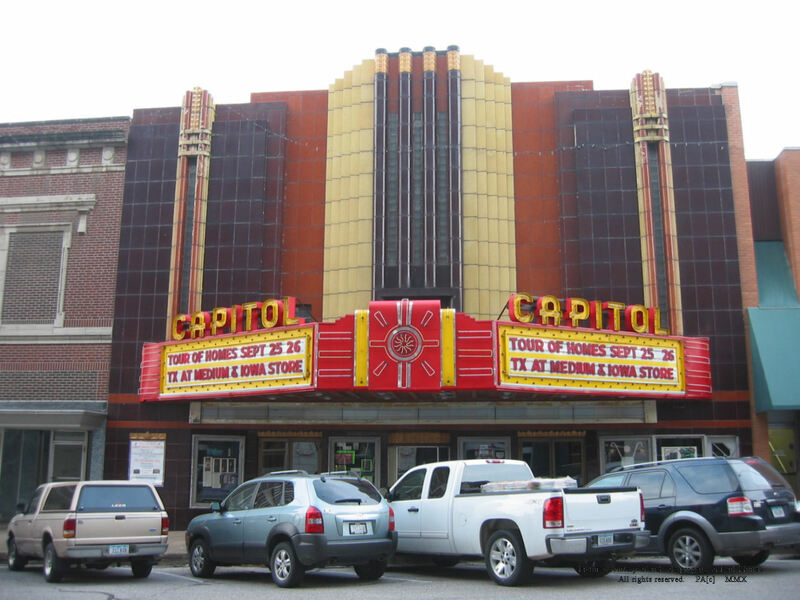 Capitol Theatre (built 1937/closed1977) is located in Burlington, Iowa (approximately 26,000 people). It was added to the National Register of Historic Places in 1996, and listed as one of America's Eleven Most Endangered Historic Places in 2001. We are uncertain of the fate of this theater and hope to return to photograph the interior. Click here for more informaiton about this theater's possible restoration.